Happy Thanksgiving everyone!! I hope you all have a great day filled with family and food!! I will probably not be posting over the next few days as a visit with family and recover from my massive food intake! Have a great day! Check out the trailer for the sequel to the 1996 slasher film, CRINOLINE HEAD. The sequel is called DORCHESTER'S REVENGE: THE RETURN OF CRINOLINE HEAD and it looks like it is going to be a really fun film! I have never seen CRINOLINE HEAD, or even heard of it really, but now this makes me want to check out the original film as well. A group of college students researching Dorchester Stewart, better known as the infamous killer Crinoline Head, return to the scene of the horrific murders that happened in 1996. 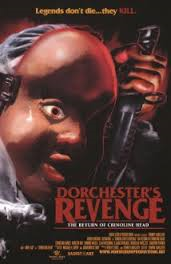 You can order DORCHESTER'S REVENGE on a signed, limited edition retro VHS or any other great item from Horse Creek Productions by clicking HERE. You may think you’ve witnessed the most extreme examples of the Italian cannibal genre, but leave it to late Italian sleaze master Bruno Mattei – notorious director of HELL OF THE LIVING DEAD, RATS: NIGHT OF TERROR, SS GIRLS and CALIGULA’S PERVERSIONS – to lower the bar to depraved new heights. 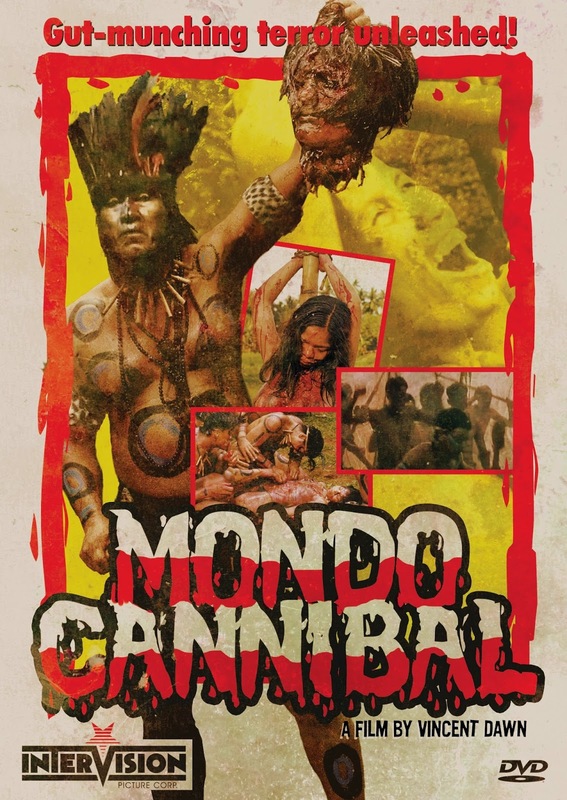 In this shameless rip-off of CANNIBAL HOLOCAUST, Mattei (under the name ‘Vincent Dawn’) unleashes the sleazy saga of a ratings-hungry American TV crew whose Amazon jungle report becomes a nightmare of gut munching, brain-scarfing, sexual atrocities, insane moralizing and much more. Claudio Morales and Cindy Matic (IN THE LAND OF THE CANNIBALS) star in this jaw-dropper – also known as CANNIBAL HOLOCAUST: THE BEGINNING – now presented uncut and uncensored for the first time ever in America! Like most of the Italian Cannibal movies, we witness a group of American journalists who go to the Amazon jungle to do a report on the locals. Here we witness all the carnage of the Amazon tribes, including sacrifices, beheadings, etc. Some of the gore in this film is extremely well done, and looks very realistic, while other times it is pretty fake looking. 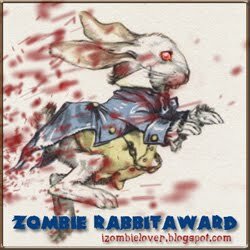 Either way, though, it is very enjoyable and there was definitely more good gore than bad. What sets this cannibal film apart from others, is that in this film it's not the Amazon tribes that are the "bad" people doing all the killings. This film presents a interesting twist where the American film crew actually attacks a village and kills some of the villagers, to make it look like a neighboring tribe did it, all in the name of getting good ratings for their TV network. This film shows you that "normal" Americans can be the true savages. I have to admit this film was slow at times, and some of the dialog is just laughable, but overall this was a very enjoyable cannibal film, for those of you into these films. The DVD is available now. Determined to make it in Hollywood, aspiring actress Sarah Walker spends her days working a dead-end job under the watchful eye of her patronizing boss, Carl, enduring petty friendships with other struggling artists and competing actors and going on countless casting calls in the hopes of finally catching her big break. After a series of strange auditions with a mysterious casting duo from famed production company Astraeus Pictures, Sarah finally lands the leading role in their newest film. The producer thinks she has a bright future ahead of her, but this coveted opportunity comes with bizarre ramifications that will transform Sarah both mentally and physically into something beautiful and terrifying. Watch the trailer and then check out the brutal clip by clicking the links below. 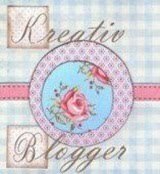 Let me know what you think by leaving a comment. ASH VS. EVIL DEAD TV series coming to STARZ!!! 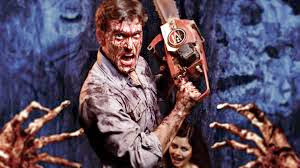 I was super excited when I heard that THE EVIL DEAD was being revamped for a TV series on the STARZ Movie Channel and would be staring Bruce Campbell as Ash! I was even more excited when I realized I actually get the STARZ channel! The tentative title of the series is ASH VS. EVIL DEAD. Original Director Sam Raimi will be writing and directing the show and original series producer Rob Tapert will be on hand to executive produce along with Raimi and Campbell. To be honest, I really didn't get too excited when I first heard about it, because I figured this was just a rumor. Let's be honest, how long have we been hearing that THE EVIL DEAD 4 was finally being made, and we have never seen that yet. I still will not believe this news until I actually am watching the opening credits on the STARZ network. This just seems too good to be true, but major news sources all over the net are writing about it, so I guess it is really happening! The House on the Wrong Side of the Tracks is a Found Footage Film. Three low life punks commit a home invasion with plans to capture all the action on camera, but when the couples son comes home they soon discover they entered the wrong house. While I am getting a little tired of the "found footage" films, I am at least glad to see one done with a different story than most. It seems as though most found footage films are "haunting" or "possession" type films, so a home invasion film done in the found footage style was a nice change of pace. Maybe there are more films like this out there that I just don't know about. The closest thing this film reminds me of is the AUGUST UNDERGROUND TRILOGY. The film is very low budget, but that works perfectly since this is supposed to be footage these crazy guys filmed on their home video camera. This film feels real and it's scary to think there are people out there who think and act this way. These three sickos got off on bringing harm to others, and while that can be hard to watch, it makes it very enjoyable when you see the tables turned and the victims suddenly become the perpetrators. 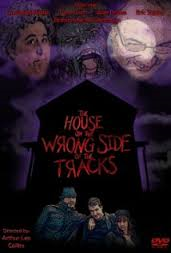 THE HOUSE ON THE WRONG SIDE OF THE TRACKS is a film I think more people in the horror community should be talking about! Check it out if you get the chance, and if you have seen it, leave a comment to let me know what you thought of this film. The next great creature feature is a movie about a giant...Crawfish?? Ha! I'm loving the new crazy creature features that are coming out lately. Seems as though movie makers are trying to come up with some new ideas for movie monsters. I blogged early about the ZOMBEAVERS....but now we have a killer crawfish flick called CRAWDADDY! 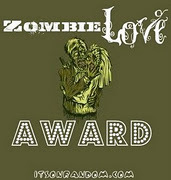 I found out about this film by browsing one of my favorite horror websites, Dread Central. Here is the plot synopsis of the film from the Dread Central article. Deep in the forest on Clear Lake, an experiment has gone terribly wrong… yet no one knows… until now. A young female biologist who finds odd readings on the lake meets up with a handsome sheriff who is following up on missing campers. Unbeknownst to them, others are being systematically killed by an unforeseen danger. Among the survivors, including the biologist and sheriff, are three teenage ex-gang members, an Eagle Scout, a beautiful teenage blind girl, a Katrina transplant, and a hermit scientist. They eventually find one another and team up to survive the night. Holding out at the scientist’s shack, they fight for their lives against the packs of dog-sized crawdads. The scientist reveals his involvement in creating genetically modified super-fish, which were eaten by the crawdad population at the lake, causing them to grow. It wasn’t until the last few days that they became aggressive. Just when the group thinks they’ve succeeded, the king of them all… Crawdaddy… has come to seek revenge for the killing of its spawn. It’s the ultimate sacrifice of the scientist that settles it all. Ha! This sounds great. If done right, this movie could be a lot of fun! The movie is in pre-production now, so it might be awhile before we get to see this, but I think it will be worth the wait! There is a remake of the 1974 lesbian vampire movie VAMPYRES coming out!? How did I not already know about this?!! 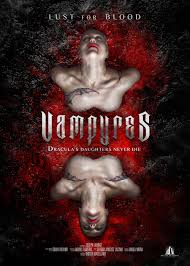 Apparently there is a remake coming out soon of the 1974 film VAMPYRES (directed by José Ramón Larraz). The remake is directed by Víctor Matellano and from the looks of this trailer, this is going to be one crazy film! The original is one of my favorite vampire movies, but watching it recently I realized it is quite dated. I always welcome a remake to see a different director's take on the story/characters. Check out the trailer and leave a comment to let me know what you think. HORROR IN THE NEWS: Chicago Woman Buried Alive in Bizarre Murder Attempt! I recently came across a crazy article about a woman being buried alive in a husband's attempt to kill his wife. The husband was a funeral director in Chicago and drugged his wife with arsenic and then switched a dead man's body with the body of his wife. When he went to bury the man's body at the funeral, he was actually lowering the casket now containing his drugged wife into the ground, while none of the funeral goers had any clue...that is until after being buried and waking up and the funeral goers heard the desperate screams and cries for help from beneath the ground! 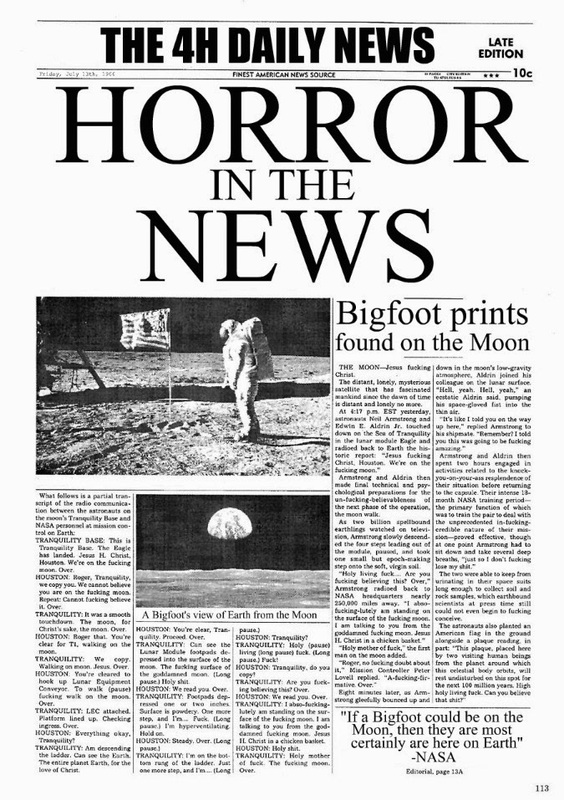 This is a crazy story and really sounds like something straight out of a horror film. You can read the full article with all the details here.